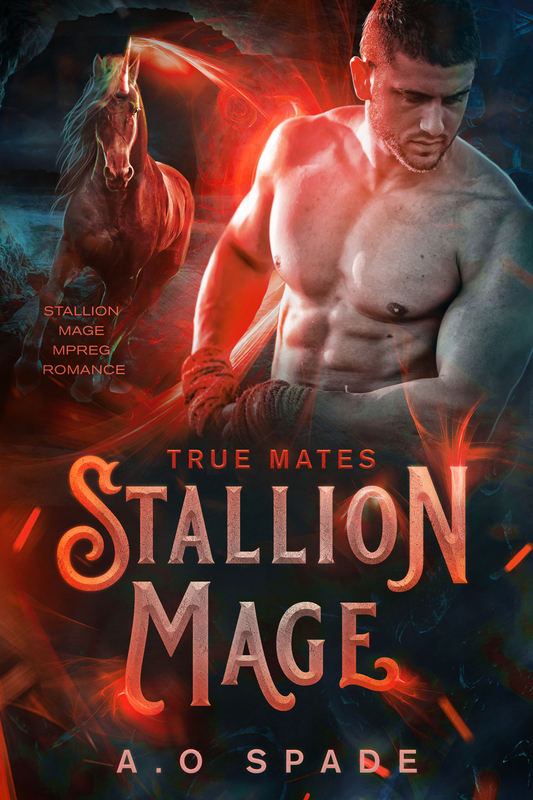 Wendy reviews ‘Stallion Mage: True Mates’ by A.O. Spade. Self published January 15,2019, 169 pages. Check out the giveaway at the bottom of this post for your chance to win ebook copies of books 1 and 2 of this series! As an earth mage, Alvarr is the only stallion who can survive outside the tribe’s territory. And this is exactly what he must do to find out what has been affecting the land so terribly. Most of the stallions believe that the lack of rain is just a bad season, but Alvarr’s trusted advisor, Elder Mastok, fears that Nature has abandoned them due to a terrible event from their people’s distant past. Whatever the cause, Alvarr knows he must get answers before the tribe starts to starve. His journey takes him far beyond the stallion territory into the lost land of their ancient people. There, Alvarr discovers not only secrets about the way they once lived, but himself as well. When he returns to leader Laren and the tribe, he is bearing more than ancient knowledge. It is only a matter of time before his secrets become known to all: he, a stallion, is with child, and Laren is his true mate. *A complimentary copy of this book was provided in exchange for an honest review. In book 2 of the trilogy, our MC, Alvarr, the young earth mage that we met in book 1 has started his quest. There’s plenty of drama and adventure and once again I find myself fully invested in the story and it’s characters. One of the things that I’m liking most about this story is the authors ability to make the characters believable. I was convinced that they were spot on with what someone (a horse shifter mage), from the stone age would find normal to amazing and even frightening. That he tries to find excuses for the changes to his body is hilarious and his denial of his pregnancy until it can’t be ignored is very believable. There was almost a dystopian feel to the story as the mage learns of lost knowledge and sees where that has brought his camps current way of living and the addition of magic was added strategically in places to help put all the pieces together. The budding romance with the pack leader is filled with drama and just the right amount of moments where you want to shake sense into them before it became overly done. This book ends with a cliff-hanger and the author apologizes for that. I find myself conflicted with that. I’ve always felt that if a book needs to end a certain way or the author wants the story to end at a certain place, especially with a series that they should be able to do so without being made to feel badly about it. Honey, IMO, if you are brave enough to write a stone age m-preg horse shifter trilogy then by all means, embrace that completely and don’t apologize. I think that this series is different and fun and can’t wait to read the conclusion of this story! Comment on this post for your chance to win e-book copies of the ‘Stallion Mage’ books 1 and 2. You need to be 18 years or older to participate. Void where prohibited. Etc. 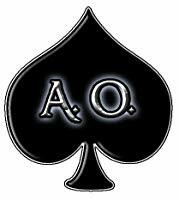 AO SPADE is a magical creature who spreads joy and other things throughout many lands. Currently a spiritual healer at a major-brand candy factory, who knows when AO SPADE will strike next? AO SPADE expresses deep thanks to the spirits of abundance in the universe, especially those who support the purchase of Casa Dragones. Or Jose Cuervo — really, I’m not particular. Wow, this sounds amazing. I would love to read more. Great post and thank you for the review. The books sound different and intriguing I haven’t read many historical shifter stories and I am adding them to my wish list..
Congratulations H.B.! You’re the winner of the giveaway! Please contact us at rainbowgoldreivews@gmail.com with your email information.